One of mine main concerns everyday is to find an immediate outfit that is stylish! Pero lo mas ke lo pienso, there is no recipe to picking out the "perfect" outfit and to be honest it should not take you more than an hour to throw something on. So, the next two questions should help you narrow your wardrobe look: How do you want to show up? & What are your plans for the day? 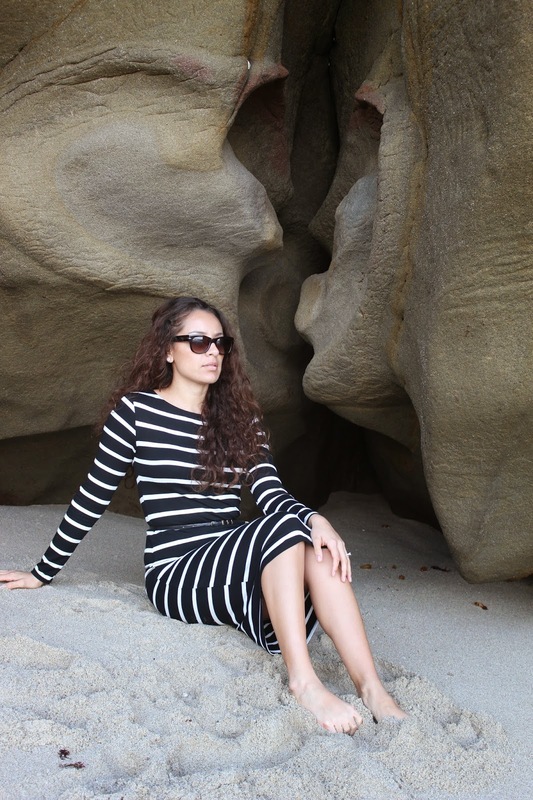 Para mi, era simple, a little black & white striped dress was a dime piece for chill day in Lo Jolla beach.